A promotional 1.87 x 3.25 computer mouse shaped school magnet can be favored by schools as a fundraiser because this shape shows up against any surface and stirs consciousness within a student. A custom 1.87 x 3.25 computer mouse shaped school magnet will be retained in most homes and schools because it acts as a matter of pride. 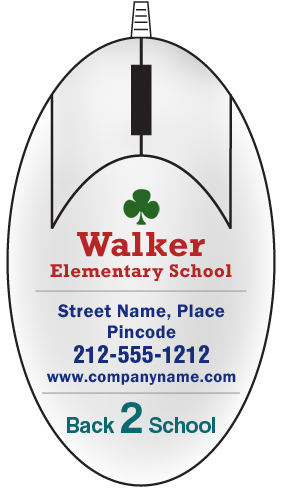 A personalized 1.87 x 3.25 computer mouse shape school magnet can employed for promotions by elementary schools, high schools, colleges, playschools and others to promote their brand values. A computer mouse is a very regular and popular shape; this means this magnet stands all chances of retention even after students pass out of school.